1. Adrian Mato Ramone works at a pizza shop. He is able to ride to/from work, and works at the shop while sitting on his PET. 2 Peris Lucas is excited because she can ride her PET to the river and is able to bathe daily. 3. Bernaber Gonzales makes brooms and sells them from his PET at the market. He travels about an hour each way to get to the market from his home. 4. Louis Mario rides his PET to/from school each day and is able to participate in activities with his friends. 5. Mario Yener is a sales and news promoter around Tecun Arnun. He uses his PET to promote local stores in his area and earns enough money to support himself and his mom. 6. Don Miguel built a platform to fit around his PET so he is able to sell firewood and fish in his area. 7. Sesa Promae is a pastor and serves his church members in Tecun Amun. 8. Vincete Escobar Cardona is able to farm and go to market for his family. 9. Yeyson Calel is able to visit his grandmother daily. 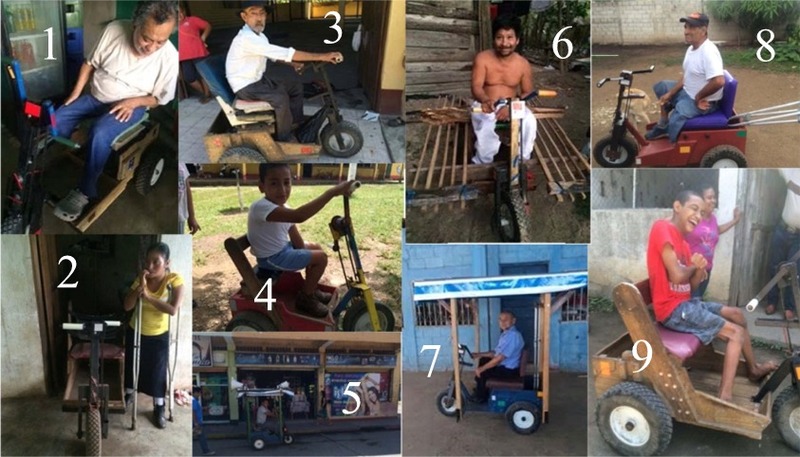 He rides to the neighbor's houses to pick up children and take them to school, which he loves doing. A lot of great things have happened with PET-Austin in 2014. We were able to build 106 PET carts this year. With those and some left over from last year we shipped: 34 PETs to Mexico, 36 PETs to Medical Bridges in Houston to be included in medical shipments to missions around the world and 50 PETs to Honduras. We attained the GuideStar Bronze level. GuideStar Exchange is an organization that vets charities throughout the country so people and organizations can see and recognize your organization's legitimacy. 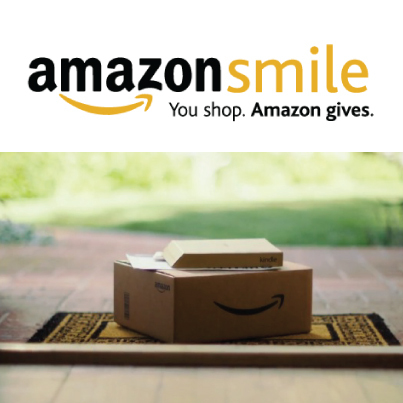 We joined the Amazon Smile foundation and receive .05% of all of the purchases made on Amazon by people that have selected PET-Austin as their recognized charity. We also became a partner with 'I Live Here, I Give Here' and will be participating in the Amplify Austin Giving Day on March 5-6. In October, when PET-International brought Seun Oke, a long time PET user from Nigeria, to the US for a tour, we had the pleasure of being one of the PET shops to host a visit by her. We heard her story and saw first-hand how receiving a PET changes the life of someone that is mobility impaired. During Seun's visit, we were able to raise the money to send a 40' container of PETs to Nigeria in her honor to be distributed by our distribution partner there, the Assembly of God Medical Mission. With the help of the PET shops in Brian TX, San Antonio TX, Memphis TN, Columbia MO and possibly others, over 160 adult, child and pull PETs will be distributed in Nigeria in the April/May timeframe. Finally, in December we place the order for the 3000 sq. ft. building that will become the permanent home for PET Austin. It will be erected on the Bethany United Methodist Church campus. Once we are in this building, we will be able to grow this Ministry as we have always dreamed since starting 7 years ago. For all of these blessings we praise God and look forward to a wonderful 2015. Jesus Es Real Mission is an existing PET distribution partner. They just sent us this picture of a young girl that received a child-size PET during their last distribution in Trujillo, Hondurus. I think the smile says it all. We will be getting more of these pictures after they distribute the PETs we just sent to them. That distribution will take place in February. Great news from Jesus Es Real Mission in Trujillo Honduras. The container with 114 adult PETs, 6 child PETs, 1 pull PET and boxes of spare parts arrived safely. The following note was received from Jim Taylor there.
" I am pleased to let everyone know that we received the container of PET'S this morning here at the Jesus Es Real Mission center in Trujillo Honduras. It took us about an hour to unload, and all went well. Thanks to all of the volunteers with PET International to make this happen. We will keep everyone updated as to the distribution attempts an schedules. From my end, due to Christmas and our busy schedule here in December, Jesus Es Real won't be doing any major projects with the PETS until February. Glory be to God, and please pray that the LORD uses us to touch those HE wants to be touched with these chairs." This morning we loaded 50 PETs and sent them to San Antonio to become a part of a larger shipment going to Honduras. The combined container (160+ PETs) combines PETs from PET-Austin, PET-San Antonio and PET-Brazos Valley. The PETs will be received and distributed by one of our partners in Honduras, the Jesus Es Real Ministries. Thanksgiving is almost here and Christmas is just around the cornor. This Thanksgiving, consider sharing your bessings by making a donation to PET-Austin. Everyone has someone they never know what to give for Christmas. How about making a donation in their honor. Whenever you make a donation in someone's honor, we will send them a card letting them know that you have given a donation to PET-Austin in their honor. You may also want to make a donation in memory of a loved one. That is a wonderful way to honor their memory. With this gift, not only will you be honoring them but you will also be giving the Gift of Mobility to someone in need. Happy Holidays!! !